Here are a few reviews I wanted to highlight. Other reviews are listed in the Archives tab and link to the Wayback Machine, a result of the tricky transfer from paper archives to digital. Review of Leslie Jamison’s The Gin Closet. Published in The New Haven Advocate: Literature. February 17, 2010. NEW HAVEN — Putting a frame around mystery, as Flannery O’Connor has suggested, is the goal of our best fiction. Rising to this challenge is The Gin Closet, Leslie Jamison’s debut novel, which keenly frames the emotional mysteries of recovering alcoholic Tilly Rudolph and her niece Stella. Jamison, currently a doctoral candidate in American literature at Yale, would be minimized if compared to other authors. Reviews of first novels inevitably tend toward establishing lineage: An author, as though a passive medium, “speaks through the spirit” of Woolf or Faulkner or Cheever. Jamison’s voice is resoundingly unique, her prose both raw and precise, fully attuned to poetry without ever rescinding an energetic narrative impulse. The novel alternates between the first-person perspectives of Stella and Tilly. We begin with Stella as she commutes between New York City and Connecticut, where she cares for her dying grandmother, Lucy. In a medicated daze, Lucy speaks of a Matilda, or Tilly, a woman Stella has never heard of. She eventually learns from her mother that Tilly is her aunt, long estranged from the family, having run away from their home as a teenager. Upon Lucy’s death, Stella drives with her brother Tom to Lovelock, Nev., to find Tilly and deliver the death news. On this trip, Tom tells her, frankly: “You’ve always been terrible at your own life. You’re always so greedy for everyone else’s.” They find Tilly in a trailer park, a wrecked drunk, five years out of two decades of prostitution, a hollow relic in confused, stark isolation in the desert. In Tilly’s trailer, Stella finds Tilly’s private “drinking closet,” in which lie a bare mattress, countless gin bottles, “the ghostly ribs of a turkey carcass” and a pink blanket, “the kind of candy shade a child might choose.” Outward from this horrific sanctum spins much of the catastrophic drama of the novel. Stella decides to move in with Tilly in an apartment. To try to gain closeness to her son, Abe, Tilly tries to quit drinking. Jamison trusts the consciousness of her characters and her readers. At the very points a lesser writer would stumble, lurch and turn away, she stands still, stares and turns our faces to stare along with her. Her characters quiver, wanting to be both seen and unseen in their shame. We peer at Stella peering at herself in the heat of her own sickness, anorexia, on a subway car. We see Tilly, seeing herself, “transparent — like all of my thoughts were coming through my skin like sweat […] I was wet with need and weakness, dripping everywhere, ruining everything.” We see both women dream dreams of false magistery, of the salvation of intimacy with married men, of the golden “amber fingers” of liquor that pulp and pump life out, not in. We recognize the baldness of our common language to describe despair; in one scene, Abe visits an Al-Anon meeting with his mother, taking notes from members’ speeches on a pad: “Afraid of the reality … The dream of disappearance … rock bottom.” Real pain demands attuned, imagistic language, and Jamison, here, thrills. Eyes glimmer like “raw wounds,” like “bandages had been pulled off them”; Tilly massages the scars on a back of a friend – “their raised edges guided me like roads.” These women all twist in their suffering towards tenuous understanding, intimacy and hopefully some measure of peace. Jamison is not just marching to the beat of her own drum. She is banging out a brutal, ecstatic symphony upon it. The Gin Closet dares readers to understand how and why we abrade our bodies, ourselves, to manifest the incommunicable to one another. Published in the New Haven Advocate. February 3, 2010. NEW HAVEN — A lone armored truck, weighted with money, crosses the Mojave Desert away from the Las Vegas Strip to Los Angeles. In a lurid graveyard of neon signs, stripped from the demolished Moulin Rouge, dogs gripe and panhandlers look for scraps to pawn. Through all its cyclical boom and bust stages of the Frontier Dream, Las Vegas offers an endless number of models for understanding American aesthetics, many of them explored in depth during last week’s “Architecture After Las Vegas” symposium at the Yale School of Architecture. Scholars and architects gathered to reflect on the city’s importance to contemporary architecture. In Casino, Robert de Niro calls Vegas a type of “morality carwash,” a place where judgment is suspended. The city is the ultimate American destination, a “sublime rip-off,” where you can find precise copies of major world buildings and cities: Caesars Palace, Paris, The Venetian, New York, Excalibur, the Palazzo. Most tantalizing, Vegas offers its visitors the possibility of forgetting, of suffering no consequences of debauch, of always winning. This idea has stimulated countless filmmakers, artists and writers, from Claes Oldenburg to Martin Scorsese to Tom Wolfe. Of course, the real Vegas is more than a sum of the clichés about it (“What happens here, stays …”). The real Vegas, one of burgeoning development and divested labor, was most deeply explored by architect David Schwarz and critic Ralph Stern. Schwarz’s overview of Vegas’ history led us through the city’s origins as a town centered around the building of the Hoover Dam, to the 1940s era of Bugsy, Hollywood stars and the mob’s influence in building the Stardust, Flamingo, Thunderbird, Western and the Sands Hotel. Stern offered a current socio-political study of how the famed resorts have been mostly torn down, and how the Mojave Desert, location of 50 years of military testing and mining and the Nevada Test Site, interacts with the new city of Wall Street interests. American husband-wife architect team Robert Venturi and Denise Scott Brown were the keynote speakers. In the ’60s, they made a break from modernism with their emphatically “ordinary” structures (Philadelphia’s Guild House, the Seattle Art Museum, the Staten Island Ferry Terminal) by embracing the lessons of casinos, Pop art and billboards to create architecture that was clear and usable. Miss Scott-Brown spoke eloquently of their firm’s hybridization of the functional and the aesthetic. She argued that real-world design demands constant analysis of urban fabric. 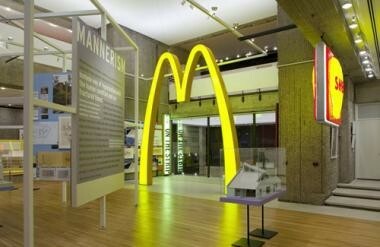 The “mind and market must meet” in order for a building to have cultural relevance. Venturi and Scott Brown’s effect on the other speakers was clear. Martino Stierli explored the experience of the “mobilized gaze” through their 1968 Las Vegas Research Studio’s filming of Vegas from automobile and helicopter. Katherine Smith discussed the Strip’s heraldic signs as Pop art. Digressions into post-modern theory, though, were thankfully minimal. The scholars’ focus was on exciting contrasts, suggested by the city, between the mesas’ unstructured silhouettes and the hectic neon beehives of the casinos, between elite and mass culture, purposeful and aesthetic, flux and immobility. Published in New Haven Advocate: Leisure: Profile. March 31, 2010. YOU ARE GAME: New Havener launches a new magazine that takes video game culture seriously. With Kill Screen, a magazine collection of essays about video games and gaming that read like film and book reviews in Harper’s, Brophy-Warren is on the war path toward lasting, intelligent writing about video games, the most misunderstood yet central of entertainments today. “Most men and women my age grew up on video games,” says Brophy-Warren, 27. “They were how we all communicated with each other.” The social network that grew out of playing games with friends helped “unify jocks and geeks alike.” Kill Screen, he explains, is meant to suggest that games aren’t a “rarefied field,” because “everyone shares the experience of playing a game.” We remember, he argues, the atmosphere and the distilled moments in which we feel connected to what is happening in the game far more than we remember design quality or plot. Brophy-Warren is fresh off this year’s Game Developers Conference, where he spoke in a panel on the lack of diversity in game characters. He was excited to speak of the positive reception of Kill Screen. “We kept running out of copies!” (Kill Screen has already received mention in Wired; it’s collaborating with Good magazine, where Jamin has a guest blog.) The magazine was birthed at the same conference last year. At a crossroads in his career at The Wall Street Journal, Jamin had dinner with a number of thinkers concerned with games, including Michael Abbot of BrainyGamer.com and fiction writer and critic Tom Bissell (author of some of the few stand-out, retrospective essays out there on games, including one on the game Gears of War 2 for The New Yorker). The group began to discuss why intelligent writing on games, writing that was neither unreadable academic game-speak nor shallow “sensationalist” fan material, did not exist. The Kill Screen editorial crew is small: Jamin is Editor-in-Chief and is joined by managing editor Chris Dahlen, a writer, and new editor Ryan Kuo, also a full-time writer (formerly for CrispyGamer.com ) and a friend of Jamin’s from college. The editors balance different interests in games. Kuo, for example, “is more into the aesthetics of games,” while Jamin says he is focused on storytelling and “conversations about people’s personal experiences playing games.” The magazine’s creative director is Anthony Smyrski, a professional designer Jamin met in Luxembourg. Jamin suggests the idea for Kill Screen is partly rooted in his childhood experiences. Born in San Antonio, Texas, Jamin grew up in a suburb of Abington, Pa., where he went to an all-boys Catholic high school. He credits his father, Roland Warren (president of the National Fatherhood Initiative), as central in forming his gaming passion. After graduating, the couple married and moved to New York, where Jamin began to play games more regularly; his main obsession was Super Smash Brothers. “I wore the grooves out of that game,” he laughs. Working for Pitchfork and for the WSJ, he began to develop his own style as a critic, and even had a column in the WSJ on video games for six months. During that time, he was struck by the paucity of game coverage in magazines. Kill Screen’s first issue, themed “maturity,” boasts an impressive list of contributors, including Leigh Alexander, Tom Bissell, L.B. Jeffries, Jason Killingsworth and Matt Shaer, who have written, between them, for The New Yorker, GQ, Christian Science Monitor, The Wall Street Journal, Bookforum and the Los Angeles Times. The essays explore the experience of playing Resident Evil for the first time, the enigma of GameStop employees, a history of game controllers; there is also an interview with Peter Molyneux, the designer for the game Fable. 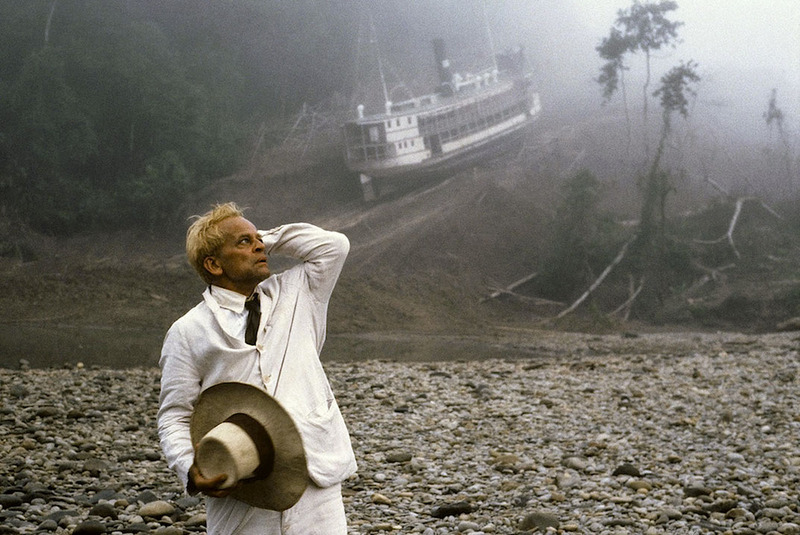 Great writing aside, it should be noted that Kill Screen is set apart by its physical beauty. The magazine was meant to be a “type of heirloom, an artifact to be passed on,” Brophy-Warren notes. Starting a magazine, Jamin has found, is no easy feat. “Any new project like a magazine is like a small business. It can be frustrating, as magazine publishing is a very broken industry. We have learned to be creative. I try to come up with creative ideas. Actually, I never realized how hard it is to mail things across the country,” he laughs. The editors found it “most surprising how willing people were to participate as artists and writers.” Upcoming issues will range in theme from “Games Are No Fun” to “Disgust” to a “Back to School” issue. Kill Screen is meant to be a space to explore, ultimately, “why an artist creates what he does.” Jamin is particularly excited to discuss legendary game designers: “There are so many game designers that no one writes about.” He mentions the fact that Shigeru Miyamoto, the genius of Nintendo who created The Legend of Zelda, Mario Bros., Star Foxand Donkey Kong, is alive and well. There have been a few profiles on designers like Miyamoto, and yet, Jamin says, it is curious that their working process is relatively unknown. 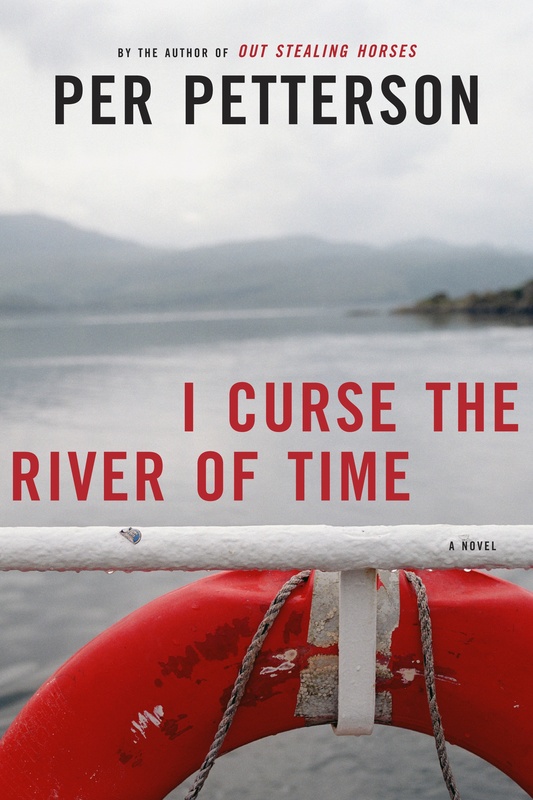 Review of Per Petterson’s I Curse the River of Time. Published in BRINK Magazine. July 2010. From a lesser known poem by Chairman Mao, these lines are a simple lamentation of a fact that can only be repeated in literature so many times: time moves on relentlessly. Per Petterson, the Norwegian author of Out Stealing Horses, devotes himself to probing the bitter fruit of this reflection in his new novel, I Curse the River of Time (Graywolf Press, August 2010). We begin in Oslo in 1989 before the Berlin Wall falls, as thirty-seven-year-old Arvid Jansen, a paper factory worker, is getting a divorce. His mother has just been diagnosed with stomach cancer. She says goodbye to her husband of forty years, and boards her favorite ship, the Holger Danske, to return to the family’s summer home in Denmark, her homeland. In the midst of her own crisis, she has no time for Arvid’s; besides, she holds a nearly seventeen-year-old grudge against her son. Right after he turned twenty, Arvid dropped out of college to follow the Communist Party’s recruitment of members to the new industrial workforce. When his mother heard of his choice, she slapped him, said, “You idiot,” and walked out of the coffee shop in which they sat. This opened the abyss in their intimacy that is the book’s subject. Over a few grim days at the summer house, Arvid, his mother, and her friend Hansen circle around each other like grim, sullen wolves. They occasionally sit down to drink and sit in uncomfortable silence. Arvid rambles, mentally, through a series of disconnected vignettes about his childhood, his courtship, and his struggle to continue work as a Party member, though his years of work in the factory turned out to run very distant from the world of Party ideals (“I had stood at the machine for six months, and all this time, I had tried to carry out every single Party resolution, but I had not succeeded.”). …there was a pheasant standing dead still in the stripy shadow of a leafless bush, its strange, long tail feathers pointing towards the road, and it was brown and green and red within a silence so compact I found it menacing. Only one shiny eye was moving inside its red frame and it followed every step I took, and this eye frightened me. This terrible bird’s eye “burning into [his] back,” he trucks back home. The pheasant eye is also his mother’s eye of judgment, transmogrified, a cold eye roving after him “within a silence so compact.” In fact, it is his mother’s menacing silence that frames every passage in this novel. This brings me to one of the great flaws of this novel: Arvid’s selective amnesia. When Petterson has the opportunity to develop Arvid’s psyche in some fruitful way, Arvid conveniently, inexplicably, blanks. He explains this obnoxious tendency in a short passage: “Inside my brain there was something inattentive, some slippery patch of Teflon, where things that came swirling in and struck it bounced off again and were gone, a fickleness of the mind. I was not paying attention, things happened and were lost. Important things [emphasis added].” This “patch” could be interesting if Arvid wondered, at any point, why, in fact he has this Teflon patch that allows him to glide over the “important things”. If things that aren’t the “important things” – unimportant things – are, ostensibly, the substance of Arvid’s memory-fiction, they should merit interest on their own. Stylistically, visually, they often do (which I’ll get to in a moment). If I were the one lying in the ventilator here…perhaps already dead, would she then be so unconditionally absorbed by what was happening to me? Would she immerse herself so completely in my destiny, or was the shadow I cast not long enough, not substantial enough, for her? Placed in this death scene, his obsession with his mother’s approval is absurd. Would his mother grieve at his bedside the same way? One might ask, Who cares?His childish reflections comprise a largely uninteresting paralysis. His memories, though, are of nothing really good, and also of nothing particularly bad. He exists in a purgatorial twilight of generally placid memories. His mortification is as paralyzing as his mother’s unfocused contempt. The taxi drove on across the windswept open stretch of marram grass and sand and scrub, which the wind kept down to knee height one year after the other, and the sea lay taut this early morning like a blue-grey porous skin and the sky above the sea was as white as milk. Where the tarmac turned into gravel, the car pulled in between the ancient dog roses and gnarled pine trees and the whole trip lasted no more than a quarter of an hour. The second sentence here, coming after the eye tracks the movement of sea, sky, and scrub, is exemplary, using a structure Petterson employs often and with power. Where the tarmac turned into gravel, the car pulled in between the ancient dog roses: the inversion of “where the tarmac turned into gravel,” leading into “the car pulled in,” and the book-end of “between the dog roses” makes for a small poem. I might see a car pulling in between ancient dog roses, where the tarmac turns into gravel, then see the gnarled pine trees; I might be looking down at the ground at the tarmac turning into gravel, then see the pine trees and dog roses above me. Petterson mimics, here, the mind’s attempt to “trap” a scene, by paradoxically doing the confusing work of movement. To then sandwich in “and the whole trip lasted no more than a quarter of an hour” into the same sentence forces the mind to backtrack, reconsider the scene, contract and expand over the time given. I passed the nice-looking red telephone booth and came to the slope where as children we risked our lives on toboggans running down the steep road between the houses, blue woolen caps pulled down over our ears in a childhood whirled away by time, and then past the bend […] and further along the terraces down the flagstone footpath and at last through the door to my parents’ flat. Drained of feeling, these images of telephone booths and blue caps and flagstones are rather like well-lit, glossy video shorts that play as visual white noise at an art exhibit. Arvid has one profound redemption here, within this morbid circling. He finds a powerful way to contend with his mother’s existence, and approximate intimacy. He “cannot imagine she craved company in the cafeteria” and instead sits alone. He imagines her exhaustion, the way she would grip tables and rails on the unsteady way back to her room. There is remarkable beauty in this very simple act of describing his mother alone, and Petterson masters both tenderness and tragedy. In Part IV, Hansen, Arvid, and his mother take a drive to the island of Læsø, where she had lived after the war for a few years, pregnant with her first son. He imagines the conversation she has with the current resident of their old house, how she might say to this woman, “‘I had to go to Norway. I thought I had no choice. But I did.’ And then my mother cried with her head on her knees.” This may be unlikely of her, given what we know of her demeanor and reserve. However, as Arvid enters his mother’s silence, protective of a weeping, self-conscious, and quietly bitter lush, and allows her to express her deep-seated regret, he is also, in a sense, able to gain an affective intimacy through imagining her. This is an intimacy that he can only gain through imagining his mother alone, as she would never invite him into her private world, thoughts, and wonder. If not so burdened by his “bitter gift of pain,” Arvid could find, Petterson suggests, a solace and closeness to the woman who will always hold him at bay.